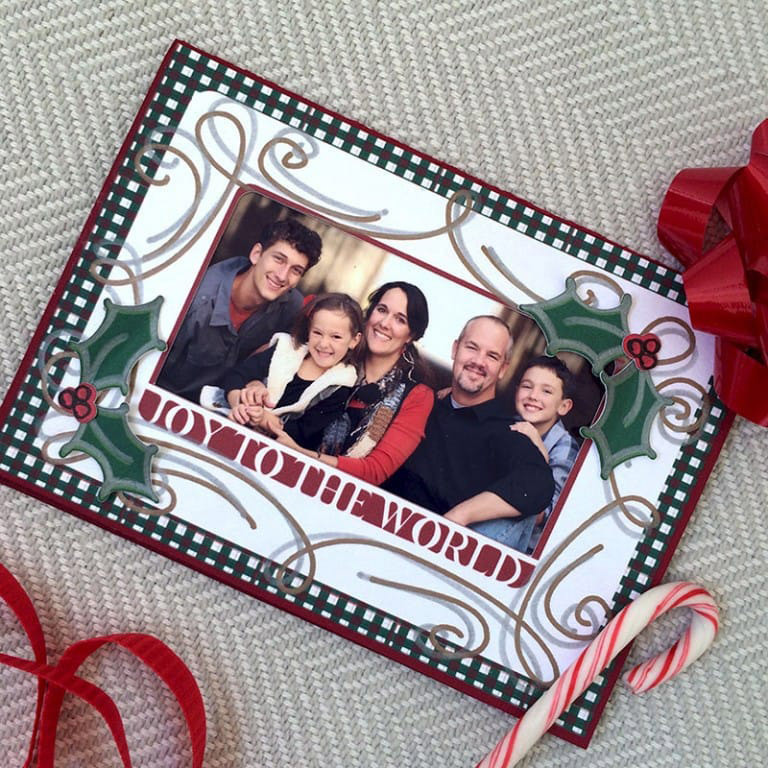 Make Your Christmas Cards This Year! 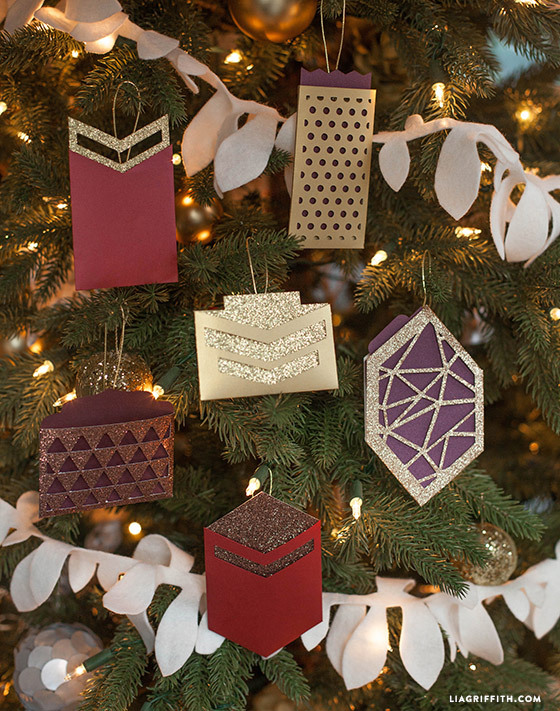 Hey everybody – it’s Beth Kingston from Kingston Crafts (http://www.kingstoncrafts.com/) and CHRISTMAS IS LESS THAN A MONTH AWAY!! Gaaaaaaaaaahhh!! Ok – deep breath. Deeeeeeeep breath – and maybe a little more coffee. 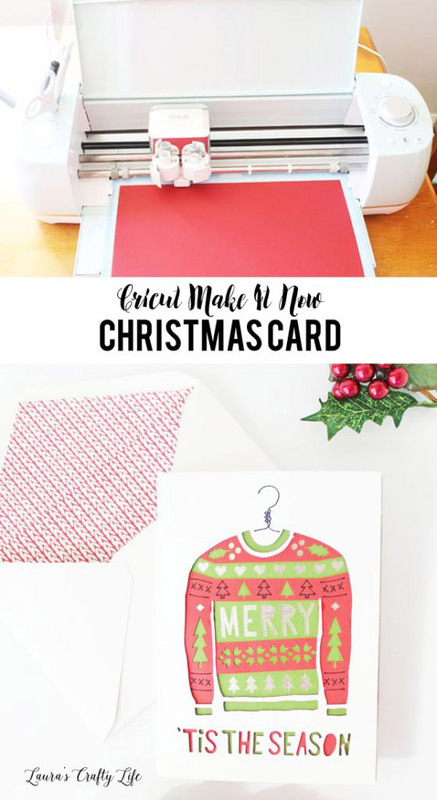 If you – like me – are planning to spend this long post-Thanksgiving weekend working on your Christmas cards then you’ve come to the right place, because today I’ve got ten Cricut-made Christmas cards to share! 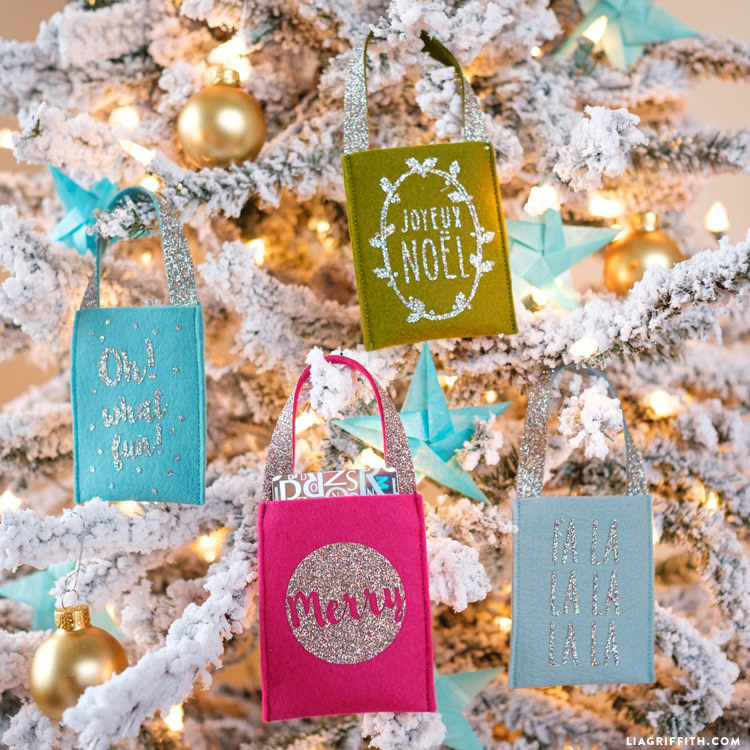 Cricut is a lifesaver this time of year because no matter what project you are creating, with just the push of a button your Cricut can do most of the work for you. Many of these projects can be made on both the Explore machines and the new Maker machine so let’s do this! Becoming Martha had me at the words sequin shaker card! 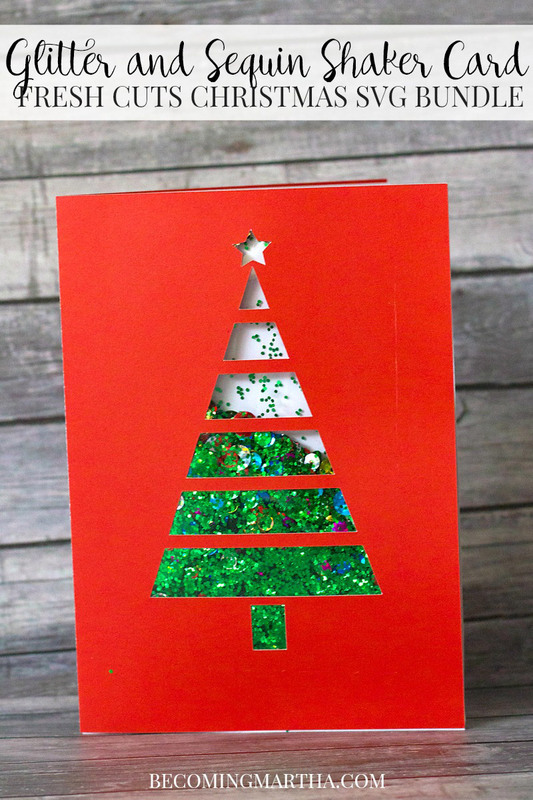 I love how she turns this simple card into something special with glitter and sequins, and she shares a matching gift tag as well. 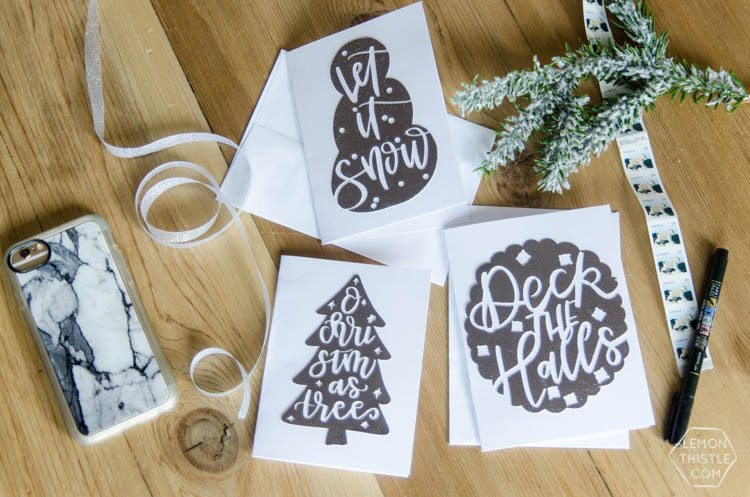 I love the look of these stunning black and white cards from Lemon Thistle – and the best thing about Cricut is I could make them in a rainbow of colors if I wanted to. The possibilities are endless! We all love photo cards but don’t love the price – thanks to 100 Directions you can create your own and it will be so much cooler! 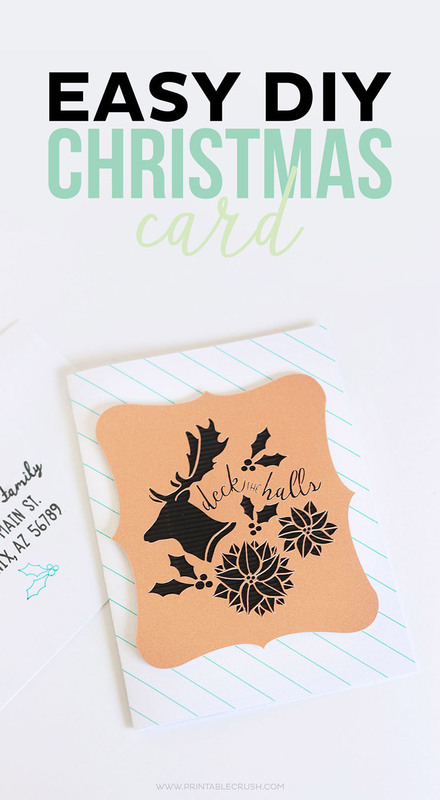 Cricut can turn the most intricate design into a quick and easy card – and Printable Crush shows us how. Did I mention she also shares a FREE printable address label? Your friends and family will think you spent hours on this ugly sweater card from Laura’s Crafty Life – but she created a series of layers that make it easy and fun to put together! She also shares the matching envelope liner and it adds the perfect touch. 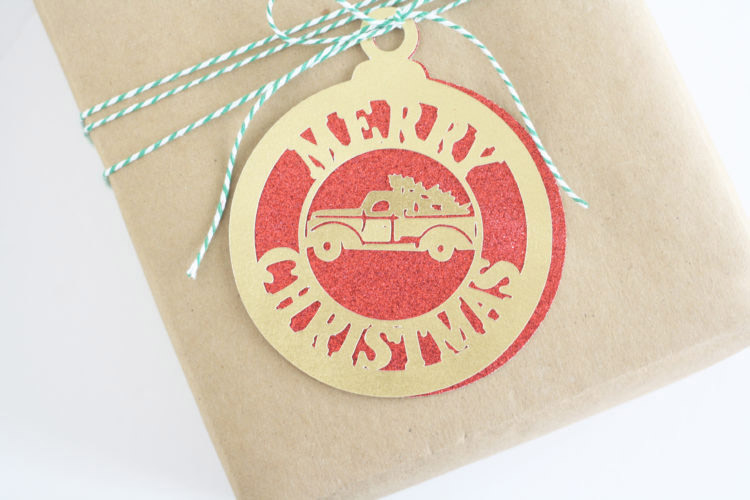 Red and gold are my favorite Christmas color combo and Liz On Call is speaking my language with this cool gift tag. I could also see this as a cut out for a card – with Cricut you can customize your projects in just a few minutes. 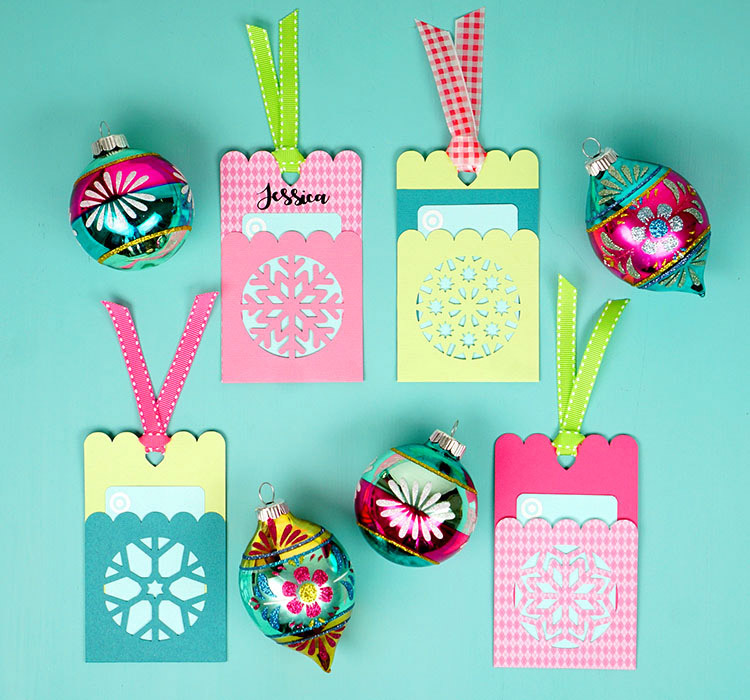 and Happiness is Homemade brings back COLOR with these bright and bold gift card holder tags! Wishing you a fun and festive holiday season – here’s to creating memories to treasure for years to come! Which card is your favorite? Tell us below!